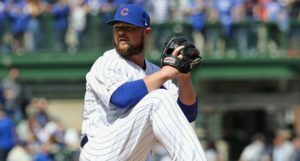 In a perfect (albeit Bryce-less) world, the Chicago Cubs would easily and gleefully add to their bullpen from a deep free agent pool, would pick up a quality veteran back-up catcher, and they’d close up shop on a perfectly acceptable offseason. It seems as simple as it does doable. And yet this is apparently not a perfect world, budgetarily speaking, and the Cubs front office is working through a serious shortage of flexibility. Indeed, so tight are things that rumors have flown that they would have to move money just to add a middle reliever. Yikes. 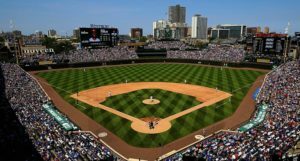 One of the few pieces the Cubs could plausibly even trade to save that money? Ben Zobrist. Double yikes. The Zobrist thing has been suggested and discussed before, and it’s one of those awkward realities in the game. 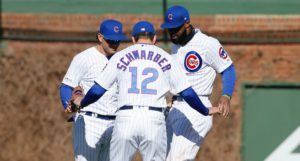 Every team in baseball would be better off for having Zobrist, and the Cubs are no different, but the Cubs do theoretically have the positional pieces on the roster to cover the innings and positions that Zobrist would otherwise provide. Can they do it as well or as singularly versatile-ly as he can? With as productive of a bat? With as much veteran experience? No. But, as painful as it is, I’ll admit that there are versions of a roster reshuffling where trading away Zobrist does not leave the Cubs worse off. Perhaps all of that, then, would be a reason to consider selling on Zobrist at this time, regardless of the payroll need. It still would still sting to lose a guy who has been so instrumental in the team’s success over the past three years, but as even he understands, the front office has to consider all the possible permutations of roster creation. Would Zobrist have a lot of trade value? In a loaded second base market, even D.J. LeMahieu managed only a two-year, $24 million deal. That $12 million salary in 2019 is actually $500,000 less than Zobrist will make on the final year of his four-year, $56 million contract. To be sure, Zobrist is more than just a second baseman, and his proven versatility provides a lot of extra value. But enough that there’s a team out there that wants him at $12.5 million? I know it sounds crazy to think the answer might be no, but it’s a crazy market. 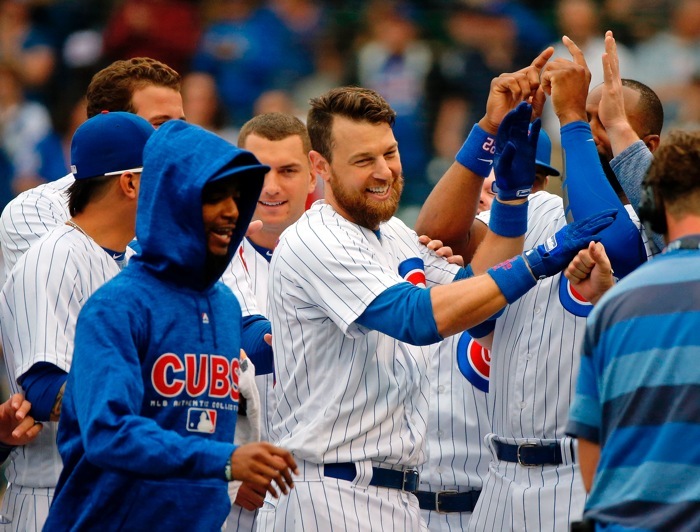 In the end, I hope the Cubs are able to figure out a way to add to the bullpen without needing to move a guy like Zobrist, who can still offer a great deal to a competitive Cubs team in 2019.